The cost of defeating the Shade Durza, has taken it’s toll on Eragon leaving him a cripple and a slave to the increasingly frequent spasms that now plague his body. Being one of the legendary few to defeat a Shade in history is great, if the cost of that inclusion weren’t so high. If it wasn’t for the mysterious, “Cripple Who Is Whole”, Eragon simply would not escaped the dungeon created from his very own mind and left by Druza as a parting gift. But that’s not all, Durza’s death also cost the Dwarves the Star Rose,Isidar Mithrim, and all it stood for. Without it’s shinning beacon of hope and reminder to the Dwarves of their history and their legacy, their unwavering loyalty to the Varden is in the balance and their own pride in their once proud and ancient race is crumbling. Was it worth it? To make matters worse, on the way back from the last hunting party in pursuit of the Urgals in the deepest tunnels surrounding Tronjheim, Ajihad and Murtagh along with the Twins were all either captured or Slain in the case of Ajihad. Without a leader the Varden finds itself vulnerable to the Empire. Without a clear leader the whole cause may crumble before it had even begun. Lacking the Varden’s backing any hope of overthrowing Galbatorix seems even more futile for Eragon than doing so with the Varden, however unlikely that may be! On the other side of the Continent Roran, Eragon’s cousin is under threat from the Deathly Ra’zac looking to use him against Eragon. In an attempt to save his life he flees into the Spine, hiding there in the hopes that the Ra’zac will pass through. However this is not to be. Because of his actions Roran dooms the whole village and Carvahall becomes under siege from the Empire. How long could the villages hope to survive the might of Galbatorix’s vast armies. Alagacësia’s only chance of survival lies with the Elves and their training of Eragon. If Eragon can’t overcome his seizures on his oouwn or even with the help of the Elves, the fate of Alagaësia doesn’t look bright. Without the last free dragon rider fighting their cause, the Varden would likely soon crumble after Eragon and then without their support Surda would surely fall to Galbatorix. Will Eragon break his chains or will those of Galbatorix enslave Alagaësia forever? 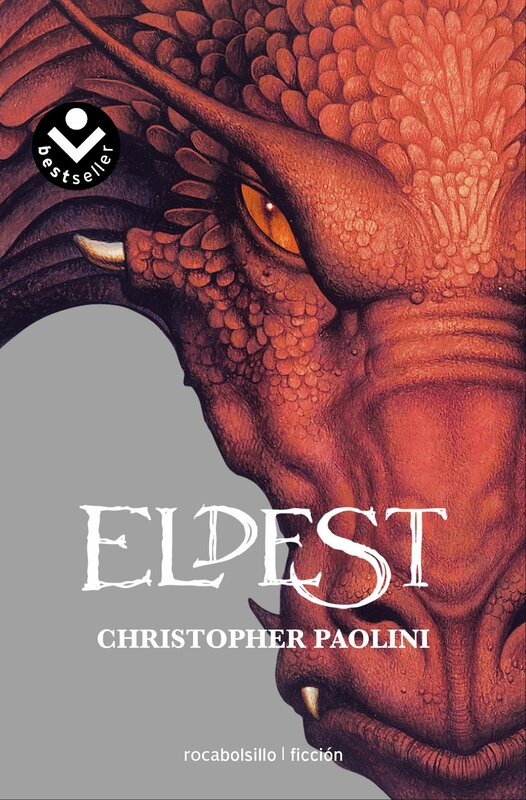 TEEN OVERVIEW: I personally really enjoyed Eldest, however like many books from the Fantasy Genre, many people would often find certain parts extremely long and so, difficult to ‘bother’ continue reading. However if you do manage to ‘stick-it-out’ until the end, it’s certainly an incredibly rewarding read. The apparent slowness throughout the book only serves in my opinion to increase the importance of the rest of the book and the tension throughout, making it a strength rather than a weakness in my opinion. Definitely one of my favourite series of all time! Is it less derivative than the earlier novels? Great write-up.